Turbans are a versatile head covering that can be worn in many ways. They often give the look of a head wrap without having to tie anything to achieve the look. 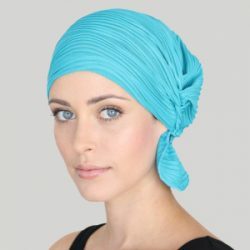 A turban is also ideal for concealing hair loss due to cancer or alopecia because it provides full head coverage as well as a comfortable fit that conforms to the head. 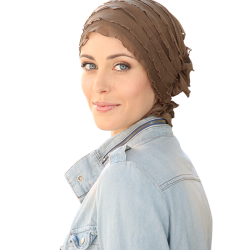 At About You Mastectomy Boutique, our turbans for cancer patients are designed in extra soft fabrics, without irritating seams. These designs are also a traditional choice for women who wear turban head wrap types of coverings for religious reasons. Turbans can be casual, dressy and even glamorous! Turban hats are fashioned in slinky, rich fabrics and can be dressed up with a broach or pin and worn with your finest a cocktail dress. 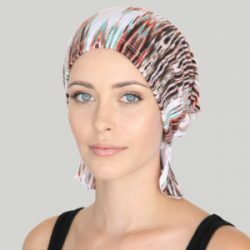 At the other end of the spectrum are terry cloth turbans, which are ideal for the beach, spa, shower or pool. 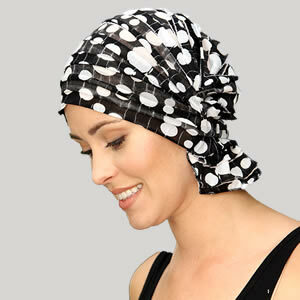 Many women also find these head coverings ideal while exercising or practicing yoga. Explore our large selection of turbans and head wraps to see which ones might be a fit for you.